Pneumatic Rotary Actuator | High Force | RI | PHD, Inc.
Get more out of your PHD experience. 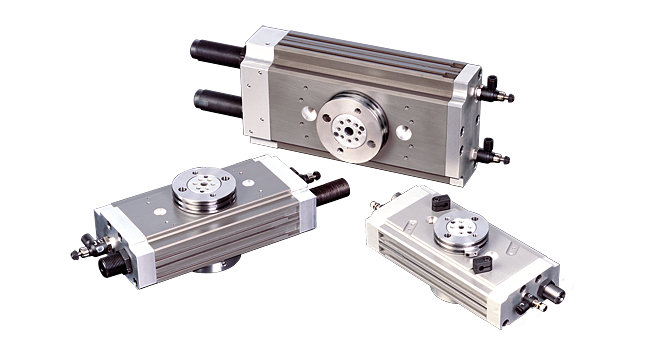 Series RI High Force Pneumatic Rotary Actuators feature internal air passages within the rotary pinion to allow pneumatic coupling to other devices without external tubing. Heavy duty sealed ball bearings and a double rack and pinion system contribute to high torque and load bearing. Series RI Rotary Actuators are designed as versatile high performance actuators suitable for general industrial use. Available in three sizes, six torque ranges, imperial or metric units.